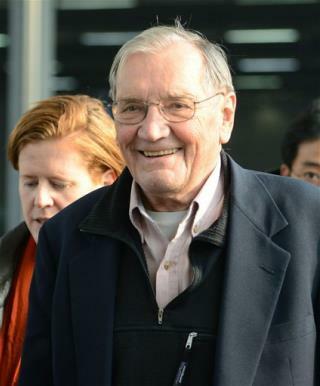 (Newser) – North Korea today freed an 85-year-old US veteran of the Korean War after a weekslong detention, ending the saga of Merrill Newman's attempt to visit the North as a tourist six decades after he oversaw a group of South Korean wartime guerrillas still loathed by Pyongyang. North Korea made the decision after Newman, who was detained since late October, apologized for his alleged crimes, which Pyongyang linked in part to his work with the South Korean partisan group. North Korea also cited his age and medical condition. (R) 2016 Gov. RICK PERRY Report: American Republican CIA and South Korea's NSS like to say THANK YOU to North Korea's Kim Jong-un administration, thank you for Jong-un's understanding, this is a first beginning to Texas-North Korea Academic Exchange-program to negotiate the US-North Korea Non-Aggression treaty to UN Security Council. Thanks, Jong-un to release our US 85-year old American veteran.